Loper are shoes in leather and durable rubber soles. The originality in this design is the assembly, done by using a rope. In this way the use of glue is avoided, which can lead to increased sustainability both under the aspect of end of life scenarios and possibility of maintenance / upgrade of the shoes. The assembly can be done by the end user, without the need for specific tools. 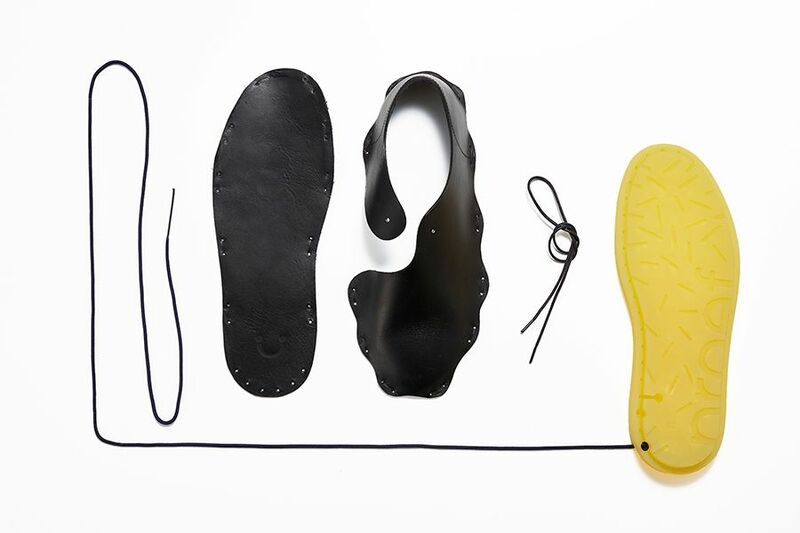 The sole is done with traditional high volume techniques, while the leather is traditionally produced with more flexible techniques, leading to possible personalisation. How? Easy connections that enable the assembly by the end user and the disassembly at the end of life.